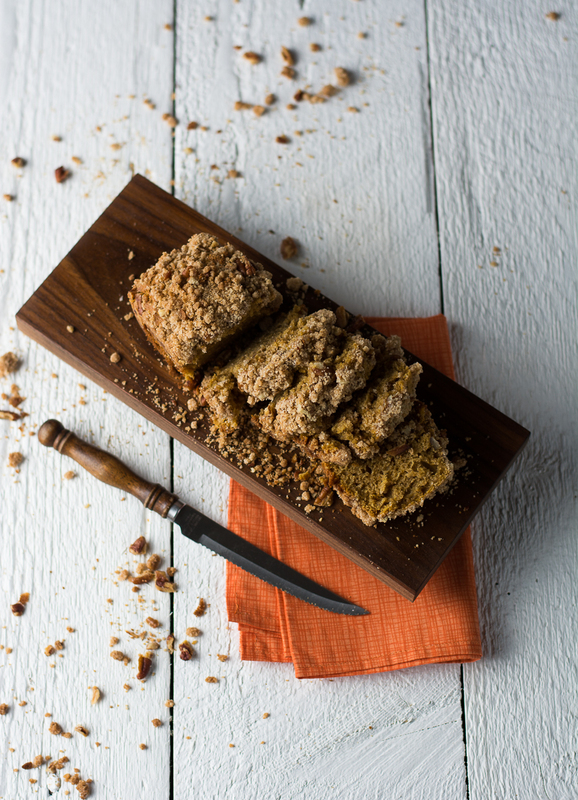 This coffee cake is THE coffee cake of Fall right now. 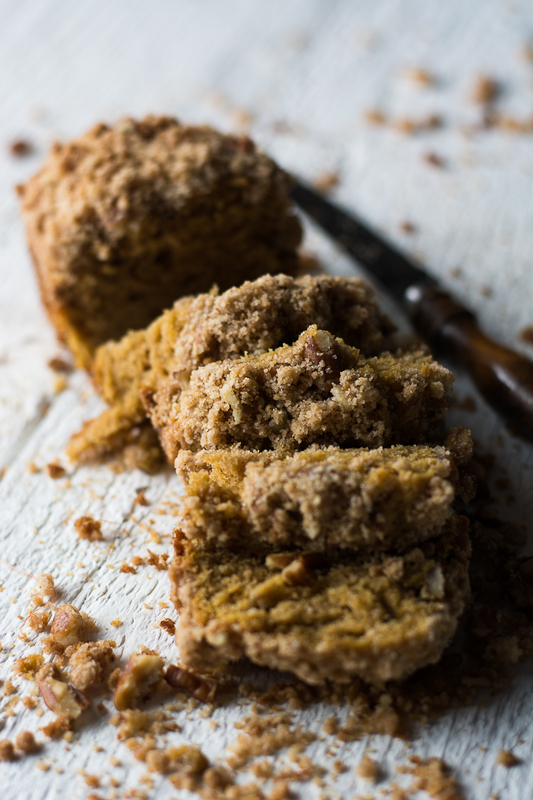 You may be saying “not another pumpkin recipe ” but I’m sure you will be eating your words as soon as you bake this awesome coffee cake! Fall has finally hit us in the PNW. Last month in October we were going to the pumpkin patch when it was still 80 degrees out! Harvest for the wineries even came early this year due to the very warm weather. Usually all the leaves have fallen off the trees by now, but they are still hanging on in early November. Fall has finally shown it’s face with much cooler temps and rainy days. Leaves are now clogging all the streets and gutters, and soup is on the stove! 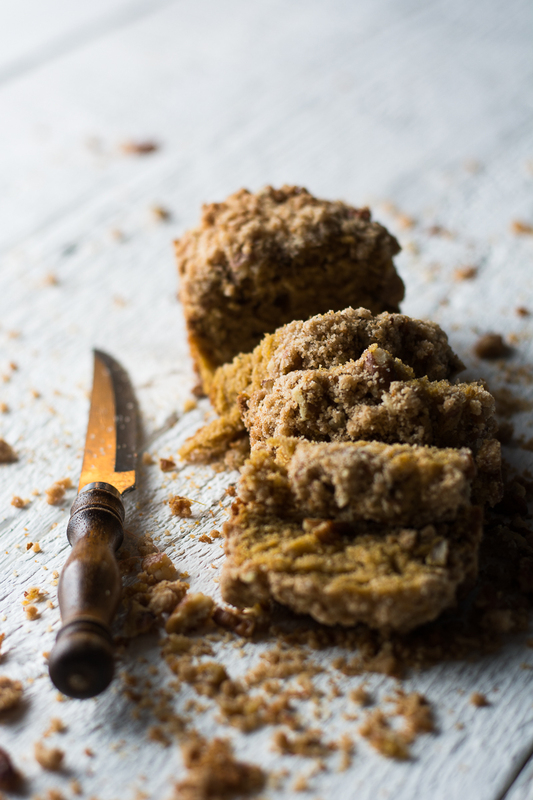 Cheers to Fall and mornings with this pumpkin pecan coffee cake! Preheat oven to 350 degrees, grease and flour three mini loaf pans or one large loaf pan. In a large mixing bowl with the paddle attachment, mix butter and brown sugar on medium speed until well combined. Next add one egg at a time, mixing well in between additions. Scrape down the bowl, and add the pumpkin puree and sour cream. Mix until smooth. In a separate bowl, whisk together the flour, baking soda,salt and all the spices. Add the dry ingredients to the pumpkin mixture and mix until just combined. Batter will be thick, spoon into prepared pans. Combine flour, sugar and spices in a small bowl. Drizzle the melted butter over the dry mix. With a fork, mix together. 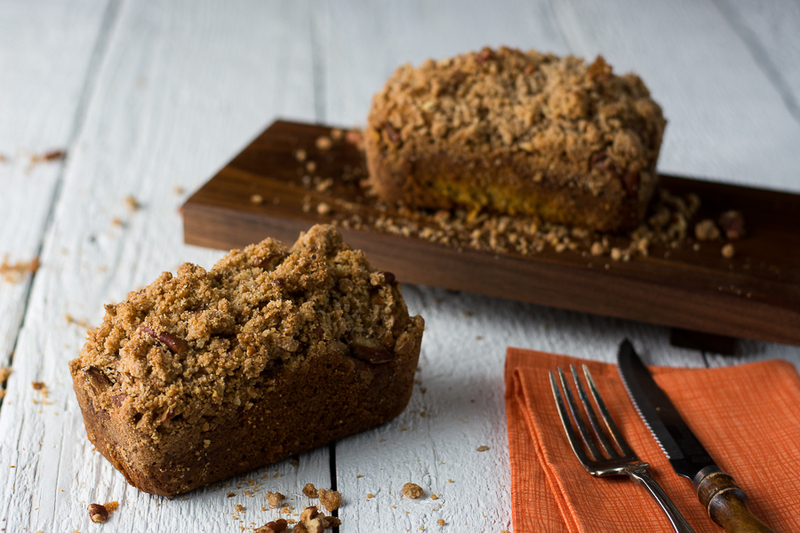 Streusel will be lumpy. Toss in pecans. 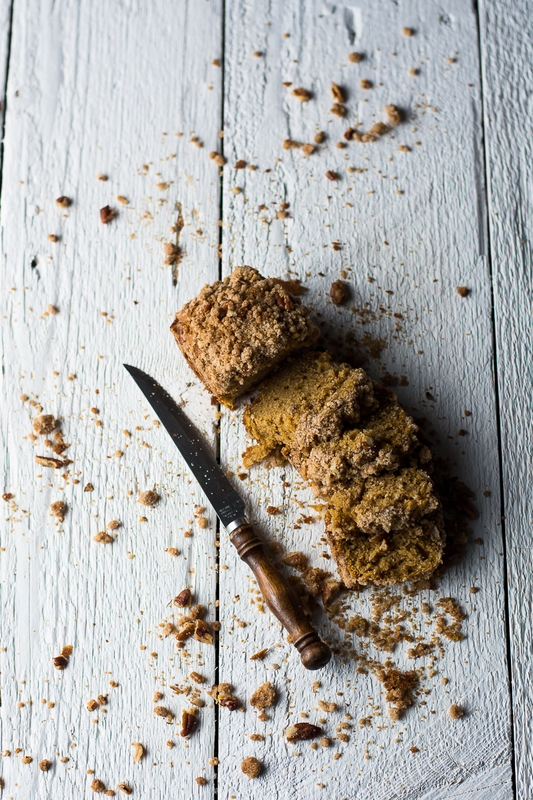 Top the loaves with the streusel mix and bake for 45 minutes. Let cool on a wire rack for 15 minutes before removing from pans.